The rate of interfaith marriage in the United States has risen so radically since the sixties that it is difficult to recall how taboo the practice once was. How is this development understood and regarded by Americans generally, and what does it tell us about the nation’s religious life? Drawing on ethnographic and historical sources, Samira K. Mehta provides a fascinating analysis of wives, husbands, children, and their extended families in interfaith homes; religious leaders; and the social and cultural milieu surrounding mixed marriages among Jews, Catholics, and Protestants. 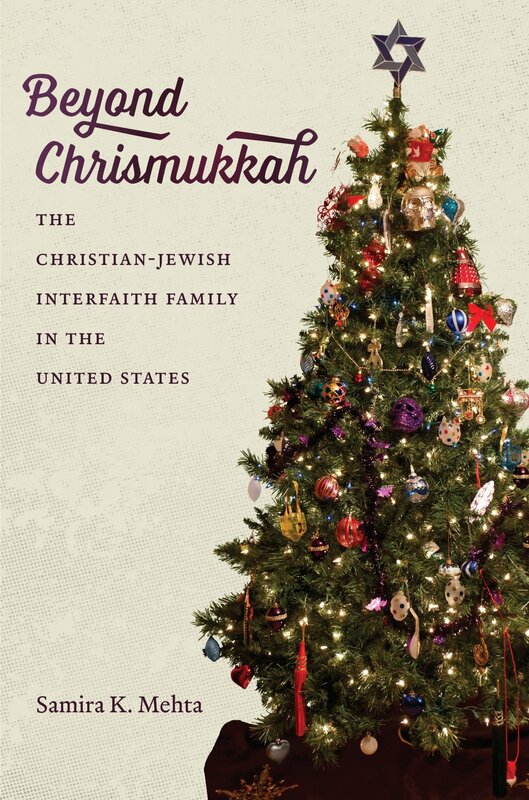 Mehta’s eye-opening look at the portrayal of interfaith families across American culture since the mid-twentieth century ranges from popular TV shows, holiday cards, and humorous guides to “Chrismukkah” to children’s books, young adult fiction, and religious and secular advice manuals. Mehta argues that the emergence of multiculturalism helped generate new terms by which interfaith families felt empowered to shape their lived religious practices in ways and degrees previously unknown. They began to intertwine their religious identities without compromising their social standing. This rich portrait of families living diverse religions together at home advances the understanding of how religion functions in American society today.